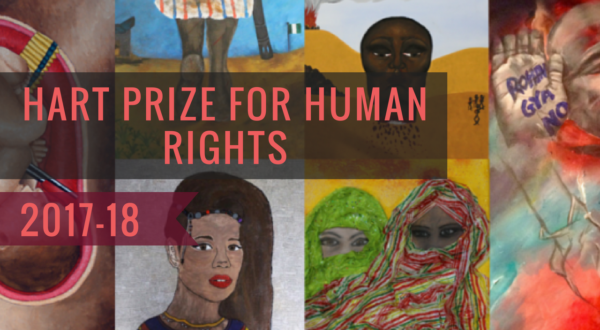 With the most number of entries we’ve ever received, the competition was even harder with such exceptional submissions that demonstrated inspiring passion for Human Rights advocacy. To what Extent can we Consider Democracy to be a Human Right? How does Uganda Reflect this? This essay will consider human rights abuse in Uganda by examining the complex relationship between human rights and democracy. A system of democracy is frequently considered to be positive for human rights, there is copious evidence to support this, with examples of human rights abuse in non-democratic political systems such as dictatorships (Beetham, 1995). However, just because a democratic system is likely to have a positive implication for human rights, the two are not indivisible. Democratic processes do not inevitably lead to achievements of human rights (Beetham, 1995). Even when we consider some of the most advanced democracies, such as the UK, there remain many violations to human rights such as the overcrowding of prisons, racially motivated hate crime and human trafficking (Bowcott, 2016). Despite this, it is generally accepted that certain features of democracy help improve human rights. There is a clear and direct link between the two in the sense that governments can play a key role in the promotion or limitation of human rights for its citizens (Kysel, 2015). It is therefore important that citizens have a say in who makes up the government and has access to such power, democracies grant citizens this voice. When considering the extent to which the attempts at democratisation in Uganda can help improve human rights, it is important to first highlight the ways in which democracy can be understood and defined. There is no universal definition for ‘democracy’ meaning there is a large amount of debate regarding what countries can be considered democratic (Dhal, 1993). Generally, democracy has been considered in terms of either procedural or substantive definitions. Procedural definitions are more basic in that they consider systems to be democracies if structures of the democratic process are in place and little else. Przeworski (2003) defines a democracy as a “regime in which governmental offices are filled as a consequence of contested elections” (p.33). The more critical and realistic explanation of what constitutes a democracy can be called a substantive definition, which requires more than just the procedures to be present. Diamond (2008) suggests that “real pluralism in sources of information” (p.22) is necessary along-side many other features when considering a system democratic. Distinction between these two definitions is very important in relation to human rights. If we are to consider democracy in purely the procedural sense, then it appears to have very little impact on human rights (De Mesquita, et al, 2005). When understanding democracy to be more than just a process of electing governing officials, and considering the ideals involved in a democracy according the substantive definition, we begin to see how this allows for improvements in human rights. Uganda’s political system can be deemed democratic in a procedural sense, but less so in terms of a substantive definition. The most recent election in Uganda in 2016 was regarded by many as the “most competitive in Ugandan history” (IFES, 2016). It resulted in the re-election of Museveni as president, making him now in his 32nd year in power. This entrenchment of Museveni into office creates questions regarding how democratic the political process in Uganda really is. Even without considering the result itself, the 2016 election process was filled with concern from external observers such as the EU (2016) who described it as less free and fair than a democracy should be. There were large campaign spending disparities, with Museveni/NRM spending “eight times more than all the other candidates combined” (EU 2016 p.7), and further issues surrounding media freedom, bribery and arrests of opposition candidates meant that the public did not have access to fair representation of the parties (EU, 2016). Without this representation it becomes difficult for most citizens to make a fully informed decision when voting. Meiklejohn (1961) analyses the idea of freedom of speech and its relation to the reserved right of citizens to have reasonable understanding of political issues. Fenwick and Phillipson (2006) suggest this argument justifies freedom to information to be considered a human right. Education is a crucial factor in democracy as it enables citizens to make more informed decisions around elections. Furthermore, Universal Declaration of Human Rights (UDHR) states that education is a human right and should be free to all at least at elementary level (McCowan, 2013). UDHR also suggests this education should be directed towards development of the full human potential. This idea of education as a human right can be supported by the notion that poor access to education is a form of structural violence, as lack of education has been linked to lower income and increased poverty, as well as higher rates of health issues such as HIV (Alsan, Cutler. 2013). 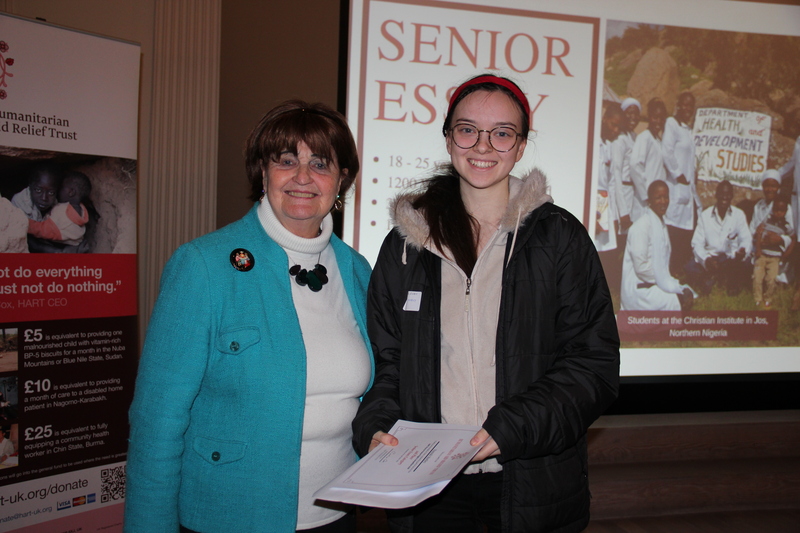 The importance of education in both democracy and as a human right highlights their shared values and builds upon the argument that democracy can improve human rights. In 1997 Uganda introduced free universal primary education, this in theory means everyone has access to education. However, the demand for education is far greater than the resources available, meaning that the class sizes are extremely large, teachers are overworked and the facilities are poor (Salve International). Moreover, there are many inequalities in education across the country, with the Northern and Eastern regions suffering in terms of the quality of education available (AET), this reflects the wider regional inequalities. An important consideration to make when understanding the relationship between democracy and human rights in Uganda, is the manner in which democracy has been introduced. Widespread instability across the African continent after the process of decolonisation left African states largely reliant on financial support from external sources. Bwire et al (2017) explore the fiscal effects of aid in Uganda using 42 years of data, they highlight conditionality as playing a key role in the relationship between Uganda and its donors. During the period following the cold-war, donors created pressure for reform within Uganda, which ultimately led to the increased democratisation of the political system. It can be argued that the nature of this transition is problematic, as Bermeo (2009) suggests democracy can “only be put in place by local individuals acting on their own accord” (p.242), she argues that democracy is not exportable, this therefore helps to understand why human rights are often not improved when westernised democratic systems are implemented in ‘developing’ countries. In conclusion, there is a clear relationship between democracy and human rights, with shared ideals of equality and prosperity. However, the attempt within Uganda to implement democracy is not overly beneficial to human rights because of the method through which it was introduced. Due to Uganda’s continued dependence on foreign aid, the appearance of democracy becomes more important than the ideals behind it and the substantive functions of it. Electoral processes are used primarily as a way to legitimise power rather than as a means of representation of public opinion. The theoretical relationship between democracy and human rights fails to materialise in the case of Uganda and moreover, the appearance of democratic change can be considered a serious human rights issue as it conceals the lack of substantive change to the system, which can prevent reform. Beetham, D. 1995. Human Rights and Democracy: A Multi-Faceted Relationship. Leeds: Leeds University Press. Bermeo, N. 2009. Conclusion: Is Democracy Exportable? In Barany, Z. and Moser, R. (eds) Is Democracy Exportable? New York: Cambridge University Press. pp.242-265. Fenwick, H. Phillipson, G. 2006. Media Freedom under the Human Rights Act. New York: Oxford University Press. McCowan, T. 2013. Education as a Human Right. London: Bloomsbury Academic. Przeworski, A. 2003. Minimalist Conception of Democracy: A Defense. In: Dhal, R. Shapiro, I. and Cheibub, J. (eds). The Democracy Sourcebook. London: The MIT Press. pp.12-18. © 2019 Humanitarian Aid Relief Trust: UK Registered Charity 1107341.